We've all heard it before, right? Whether it was in a birthday card or through someone expressing their love. We can understand the general concept behind being unique, but how often do you feel this way? I mean, how many times a day do you think of yourself as unique or special? If you said "hardly ever" you're not alone! Let's be honest, thinking about yourself in this way can feel awkward! Truth be told it can feel arrogant or self-centered, but my question for you is WHY? Why does it make you uncomfortable? I can tell you, for me, it was because unlike everyone else, I thoroughly know myself. I can see all of the ways that I am similar to others and can sometimes blend in to fit the environment making myself less unique and more "acceptable". In my mind, it was almost as if being unique was a reason to be rejected and I didn't want it. Now let me tell you right now, this kind of fear-based thinking will keep you living a dead, purposeless life, hidden behind excuses and compromise. You will feel aimless and discontent with everything. As a unique individual being anything less than who you are will only lead to dissatisfaction. Don't do it! I understand that the word unique is used very often so we can sometimes lose the interpretation so allow me to explain what I mean by unique. The dictionary defines it as "being the only one of it's kind" which goes hand in hand with my beliefs. Being unique is simply being original. It's being your TRUE self. Simply put, it's being authentic. You know the natural way that you are when no one is around? The you that has tons of ideas floating around in your mind but no one ever hears them because you disqualify yourself saying things like "that's a stupid idea, no that won't work, no this is silly, I can't share that...". Yes! THAT YOU! The you that you hide when you're in public because you want to make others feel comfortable or less intimidated by your shine. That's the you we're all waiting to see and experience! The way you think, feel and express your emotions, and the way that you communicate are all unique to your upbringing, life experiences, environment, training, and so on. No one on earth can do what you do in the exact same way that you do it. No one can say what you say and have the same effect on people. Even if you were put in a room with other people and you all read the same script, each of you would have a different emphasis on keywords and ideas that stand out to you. You would all have different ways of feeling after reading the script, and you would all express it differently. My friend, you are a unique creation! 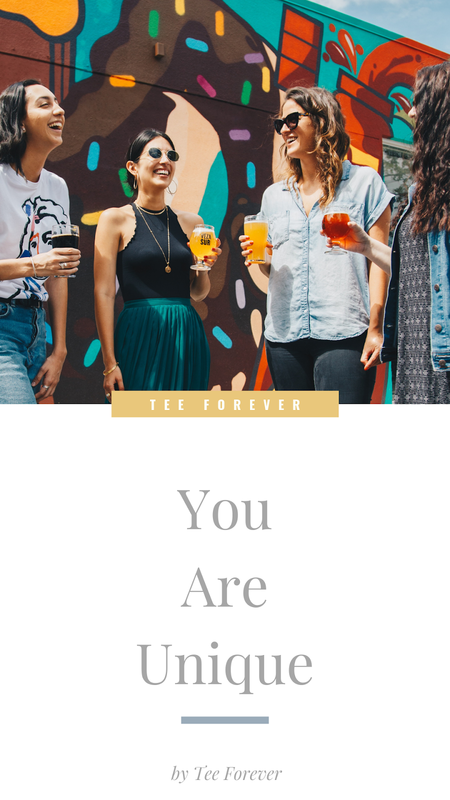 Enjoy who you are and don't be afraid to share it with the world because we are waiting to connect with the real you! We are waiting to see what being authentic and living an authentic life looks like. We are waiting to connect with you on a real level! Stop hiding behind fake personalities and cultural norms. Just be yourself. I know it can feel uncomfortable at first but if you think we can't already see you, you're wrong! The way that you speak, the tone of your voice, and your body language are just a few ways that you naturally present your individuality to the world. Being yourself comes naturally to you so let go of comparison, stop trying to please others, take a deep breath and let us see the real you! What are you afraid of? You're beautiful! I mean really! There is no one else on the planet that can lead like you do or care for others with the same degree of compassion. In 2019 choose to break out of your shell and live your authentic life. Trust me, you'll be happier when you do. Until next time, xo!